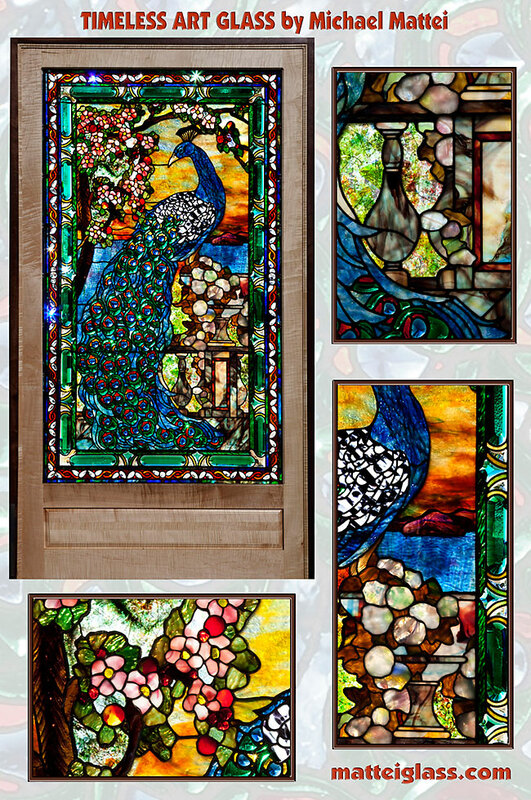 This stunning window, a peacock in apple blossoms and snowballs watching the sun set over the distant water and mountains is an excellent example of fine glass art that is sought by contemporary collectors. In the panel, I have combined close to 1,000 custom, hand bevels, both clear and colored dalle, with considerable color phasing made possible by extensive double and triple glazing giving this window fantastic depth and movement. Additionally, most of the opalescent glass was hand cast for specific areas in the window making this work of fine art glass, singular and unique.